The Docents, who are members of the Friends of the Cumbres & Toltec Scenic Railroad, are those unpaid guys and gals who ride the rails day in and day out interpreting and explaining what you see on the Cumbres & Toltec Scenic Railroad. The docents are part of what make our railroad unique and very, very special. We would like to help you get to know your docents, before your trip, so that when you see them on your train, you can shake their hands, feel like you already know them, and say “Thank you”. 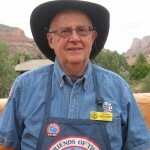 Bob is the Docent Program Manager and serves as the Chairman of the Board for the Friends of the Cumbres and Toltec. He also heads up the Friends fundraising effort. He’s a graduate of Ohio Wesleyan University with a geology major, and was a Divisional Vice President and GM of Union Carbide Corporation. 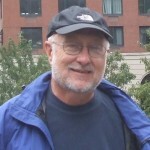 Bob is an ardent student of western history in the 1870-1900 period, and the D&RG’S role in the development of the states of Colorado and New Mexico. This is Bob’s 14th year as a docent. If Bob is your docent, ask him if Wyatt Earp or Doc Holliday ever rode the train. 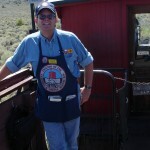 Chuck has been a Docent with the Cumbres & Toltec Scenic Railroad for 5 years. Before he was a docent he worked as a cartographer/surveyor for a major oil pipeline company. 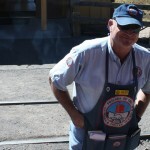 He enjoys being a docent because of his love for narrow gauge railroading and all of the great people he gets to meet. If Chuck is your docent ask him about the engineering aspects of the railroad. A little known fact about Chuck is that he has been coming to Chama and riding this train for 42 years. Rex has been a Docent with the Cumbres & Toltec Scenic Railroad for 12 years. Before and during the time he has been a docent he worked as a Compliance and Safety Coordinator for Colorado Rural Electric Association. 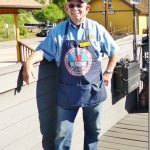 He enjoys being a docent because he likes the interaction with the passengers, the train crew and the general public that visit the railroad. If Rex is your docent, ask him about where he has traveled lately. He is a full time RV’er. A little known fact about Rex is, he is skilled in Tai Chi, Qigong and Ba Daun Jin forms of martial arts. Joe has been a docent for five years. He began riding the train in 1971. Joe graduated from Southwestern Graduate School of Banking at Southern Methodist University in Dallas, Texas. Prior to retiring from First Commercial Bank in 1999 he had retired from JP Morgan Chase as an Executive Vice President in 1993 after twenty five years of service. He enjoys sharing his interest in narrow gauge railroading and hopes some of those who ride with him will join the Friends of the Cumbres and Toltec Scenic Railroad and carry on with its mission of preservation. If you ride the train with Joe ask him about his interest in railroading. A little known fact about Joe is he loves Pugs! 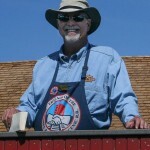 Hank has been a docent on the C&TSRR since 2008. After retiring from the United States Marine Corps, he became a registered professional engineer. Now Hank runs a consulting firm specializing in civil and traffic engineering. He enjoys being a docent because of the interaction with passengers and other rail fans. 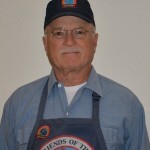 “It’s a treat to help others enjoy the railroad experience as much as I do”, says Hank. If you see him, be sure to ask that railroad question that you’ve been wondering about! 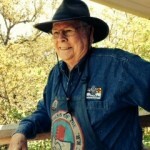 Meet John McKean, one of the docents, who lives in Corrales, New Mexico. He grew up in Montrose, Colorado, near the “Y” where the narrow gauge and standard gauge lines converged. 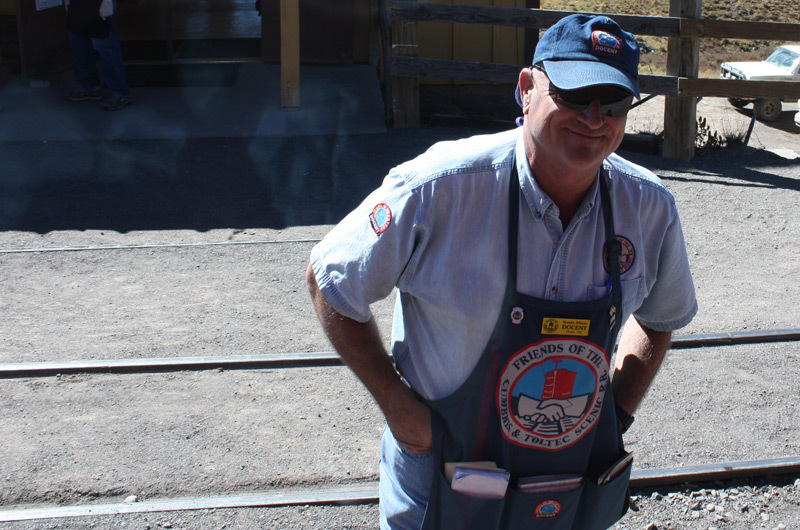 Although he has been a member of the Friends of the Cumbres and Toltec for more than two decades, this is his third year as a docent and he is still learning. You’ll meet him during breaks from his retirement career as a public school teacher. Brooks has been a volunteer for 14 years and docent for eight years. He is a retired Marine Corps officer and has also been the owner / operator of a small stained glass studio for 24 years. Brooks resides in Clovis, CA, during the off season which allows his wife and him time to operate a garden railroad in their back yard. During the operating season, however, he spends much of the summer in Chama. He thoroughly enjoys the community of Chama, the railroad and its’ people. When not being a docent, Brooks works on a car maintenance crew that repairs and replaces the brake systems, trucks [wheel sets] and couplers on those historic cars requiring such work to make them ready to go for special trains and special viewing by the public. Chama is a great place to enjoy clean air, beautiful scenery and a wide diversity of people from around the world when on the train. This truly makes being a docent a unique and enjoyable experience. Jeff has been a docent since 2009. Following his graduation from the University of Wisconsin, Jeff spent his entire career in Information Technology working for Northwestern Mutual in Milwaukee Wisconsin. He retired in March of 2000 as Vice President and Director of Technology. 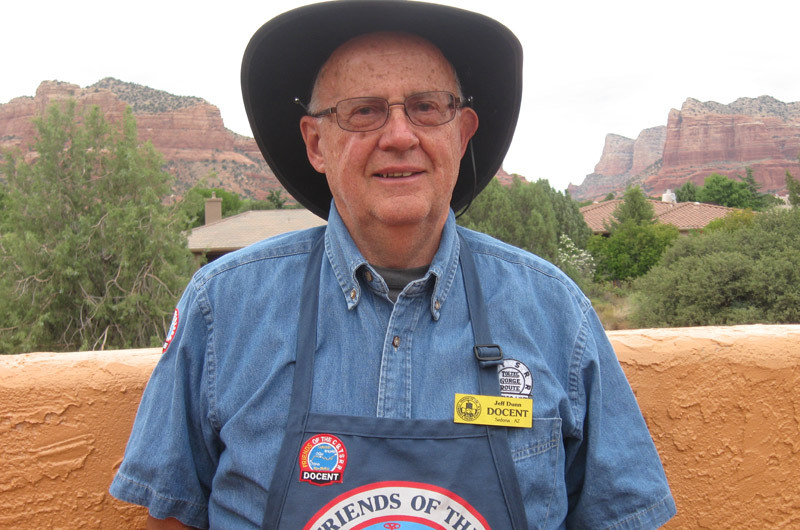 He and his wife Suzie then moved to Sedona Arizona where both are active volunteers with the Coconino National Forest. Jeff has had a love affair with trains since he was five years old having grown up in a town with three rail lines. He is also an avid modeler and belongs to the Sedona Model Railroad club. Jeff enjoys talking to riders about the Cumbres and Toltec Scenic Railroad as well as trains in general and model railroading. He hopes he can help contribute to an enjoyable experience for the riders. 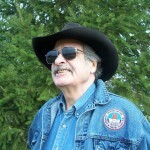 Jerry is from southern California where his career was as an Information Technology Professional. His I.T. tenure spanned the time from punched cards to assembler programming to data center facility management of a large corporate center. He has been involved with the C. & T. S. since 2008, first working with the annual work sessions and more recently as a member of the docent team. Of his other interests, he is a certified flight instructor, albeit inactive and has a fascination with the geology of western North America. If you see him on the train, ask him how he changed from flying airplanes to riding trains!